Looking to try your hand at DIY string art on wood? It’s an inspiring craft to do and here are some creative ideas and patterns for you to get started. You can easily tell why string art craft is all the rage among the DIYers. There’s no limit at how many creative things you can with it. It’s all about the inspiration. And a beautiful piece can make a brilliant rustic decor accent. Especially if you choose the right wood board to go with it. 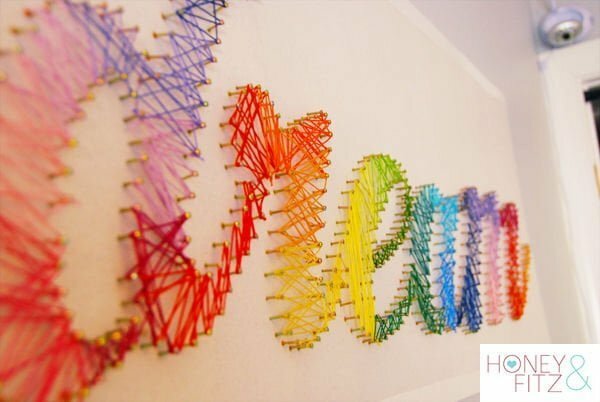 We’ve picked up 20 of the most creative DIY string art projects that you can replicate yourself. What Do You Need to Make String Art on Wood? Trace the yarn around the nails in the pattern. Each step is explained in detail in all of the following tutorials. Choose the one you would like to make yourself. This is a highly customizable DIY strong art project, and you can choose any pattern and size of it you want. The technique of making the string art involves drilling and nailing the board in the pattern of your choice. You can print the shape to guide the drill for best results. To finish off the art piece (this is the main part) you’ll need to weave the yarn in the colors of your choice. There’s a lot of leeway to how you approach this project but always make sure to keep those nails straight. This project will encourage you to experiment with materials and the way you create your DIY string art. After all, creating your art is all about letting your imagination flow and being creative. There are so many things you can do differently. You can choose different kind of wood for the board, you can choose a different stain. You can even choose a different type of nails. And of course, you should experiment with the type and color of thread and string patterns. That’s what this is all about. But of course, you can use this tutorial and instructions to get started. String art crafts can be very involved. It all depends on how elaborate you want your art piece to be. This wall letter project is one of those that require a few days of work. But in the end, it’s all worth it. 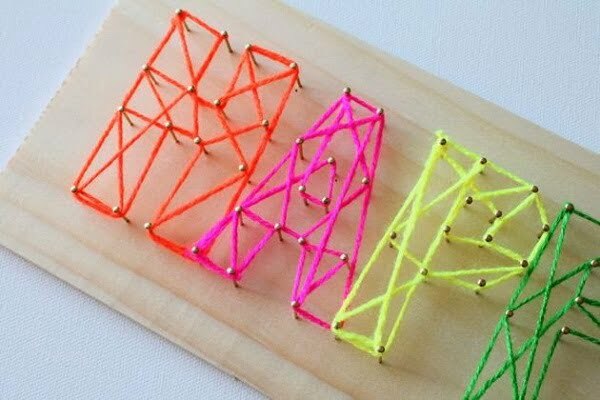 This tutorial will teach you how you can create beautiful string art letters yourself. It’s all about the right choice of yarn color and setting the nails. You can get the letter boards in stores, so there’s no woodworking involves (although you can make them if you want). Use this tutorial for some unique DIY wall art. 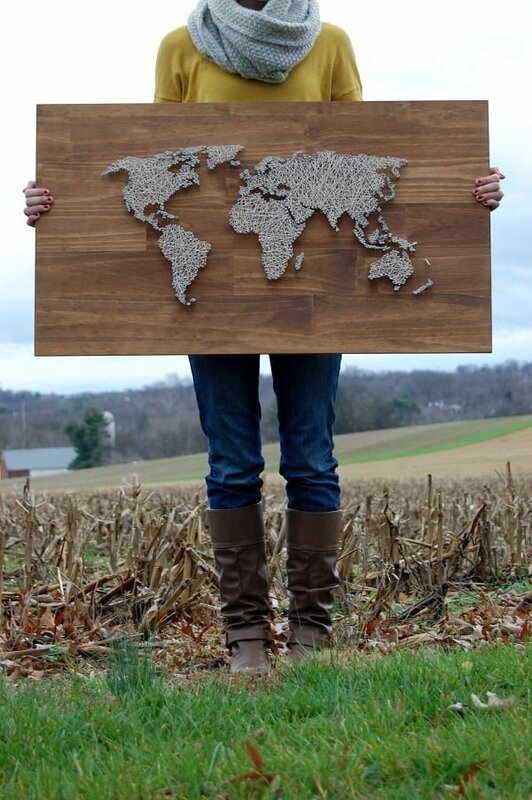 Talking about elaborate projects, this map of the world string art is out there. Yes, it’s quite tricky to get it right in all detail. But it’s all a matter of the right template printout and setting those nails right. Then arm yourself with patience and get stringing. It’s an impressive example of DIY string art, and the best part is that you can do it yourself. Albeit this tutorial is not very detailed, it reveals enough to get you on the right track. If you think we’re going too fast with wall letters and world maps so far, let’s pace it down. This project and tutorial are intended to teach school girls the craft of string art. So it’s straightforward and easy to get started. And you can start here too. Make something tiny to get try your hand at the craft. It gets easier very quickly, once you get the hang of it. 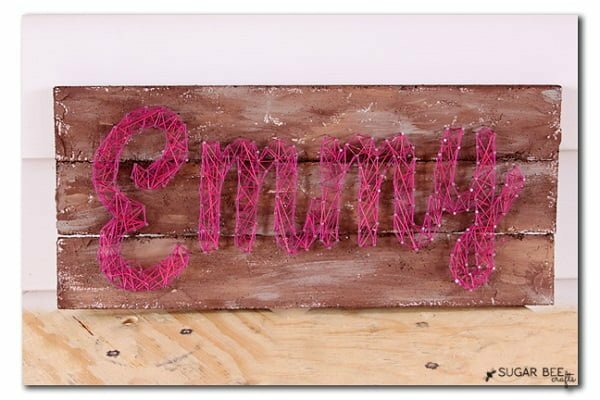 A simple letter string art can make an adorable piece of art for your home decor vignettes. Any geeks among us? 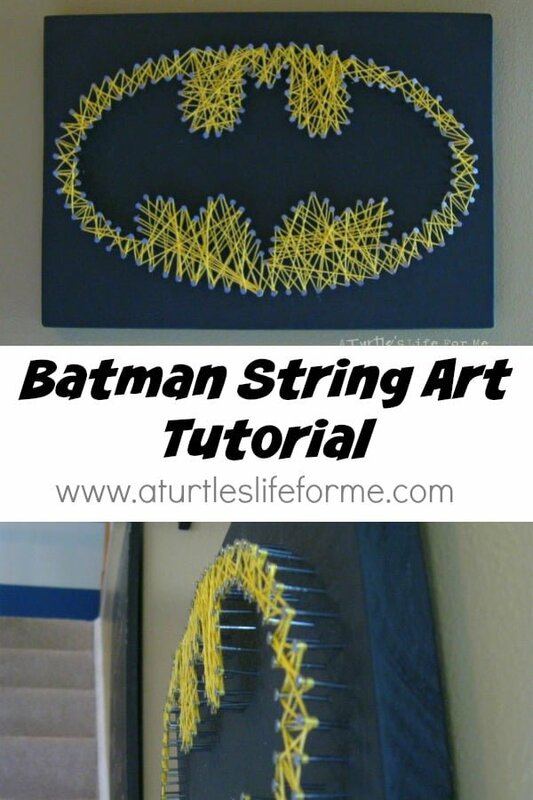 You can create cool string art for a Batman sign. Even if you’re not into it, your kids will love this decor accent in their room. So check out this tutorial which will show you how to make this string art sign. Some rustic accent always makes excellent decor, and you can use the concept in DIY string art as well. 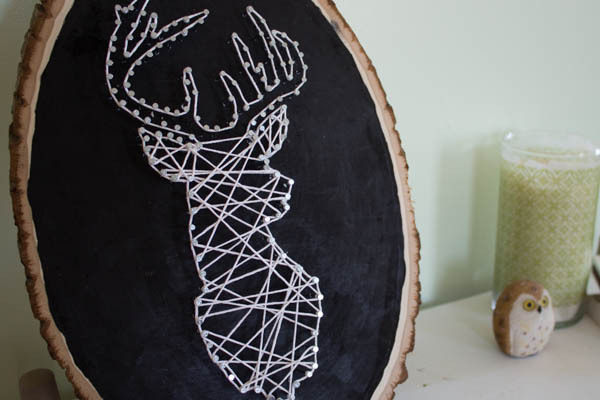 This project idea is about creating a deer string art on a wood slice plaque. Check out the tutorial to see how to do it and get tips on how to make it better. 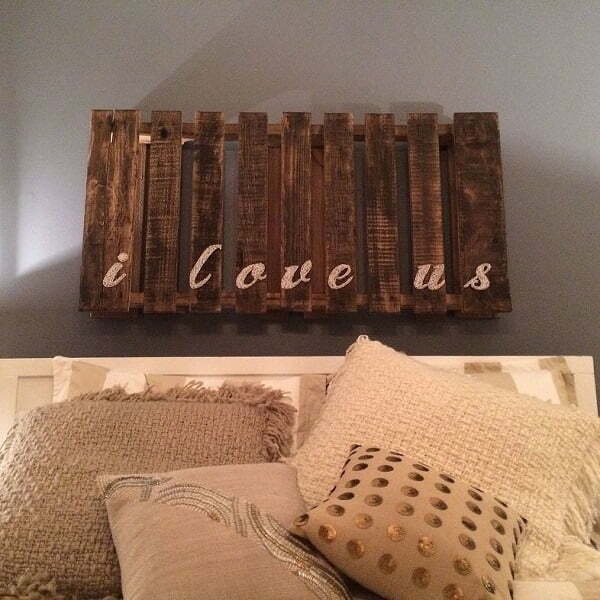 Talking about rustic decor, nothing makes it better than pallet wood. When you choose the board, why not go for the pallet style? This tutorial shows you how to do that to get this warm look for your string art piece. 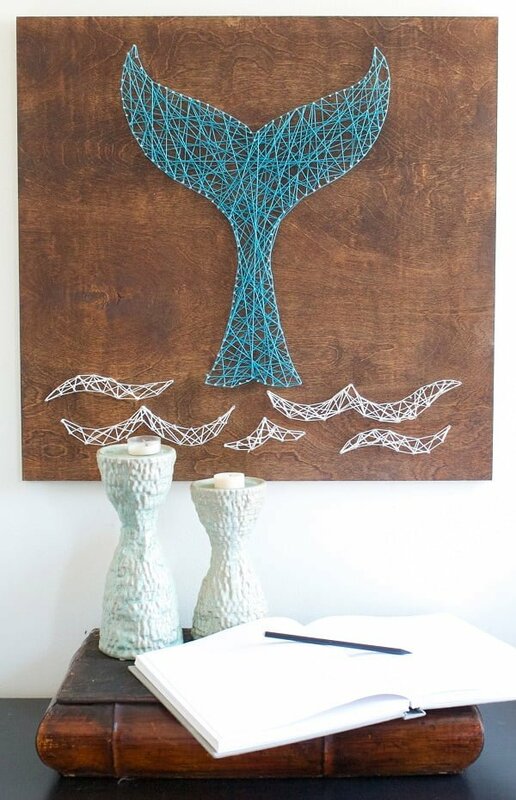 Make some whimsical decor statement with this fish-pattern DIY string art project. This tutorial will show you how to make this string art on a piece of wood. Check it out and have fun making it! 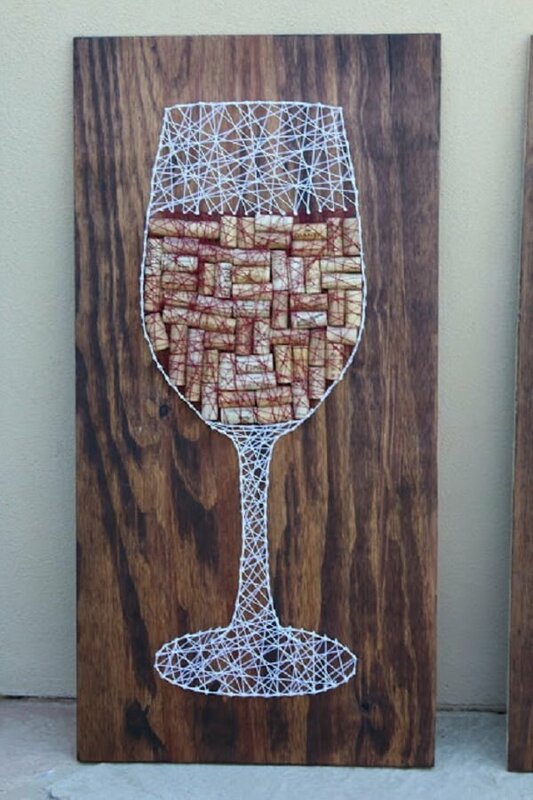 If you don’t feel like messing around with drills and nails to make your string art, this project idea introduces a technique that makes use of corkboard. This is an easier and a less messy way to go about making string art without less room for error. Check it out the tutorial for the instructions on how to do it. How about making a wreath out of string art. Yes, it’s possible, and it looks so good. 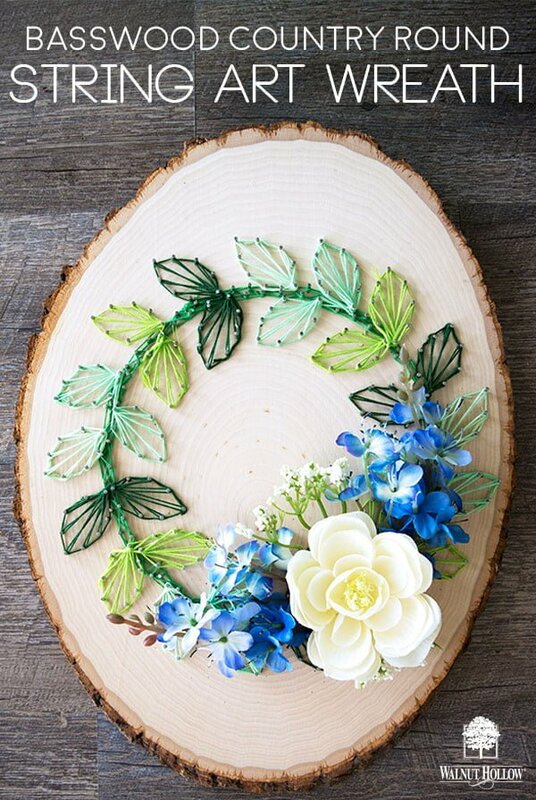 Use a wood slice and some artificial flowers for a better effect. It’s so rustic and so charming. Check out the tutorial for the instructions on how to do it. String art is a great way to decorate for any occasion, including Christmas. 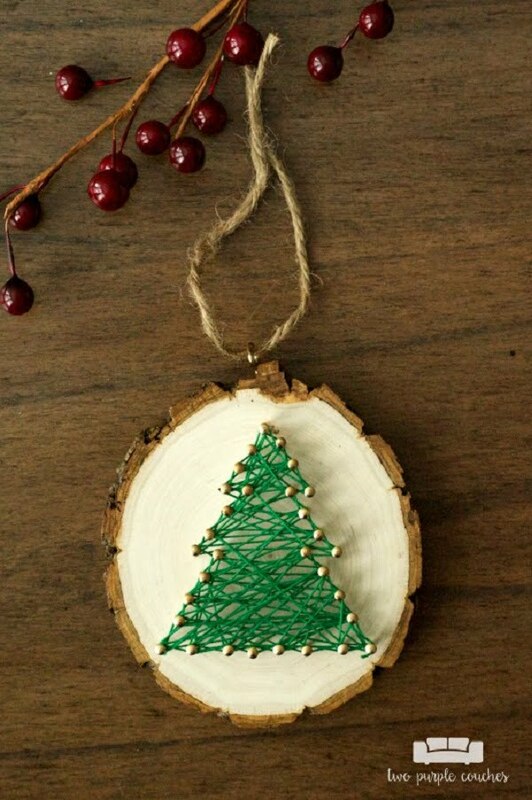 Even a small adorable Christmas tree ornament made in string art can be a great decor accent. It has everything that rustic style has to offer. Check out the tutorial and the instructions that will show you how to do it. 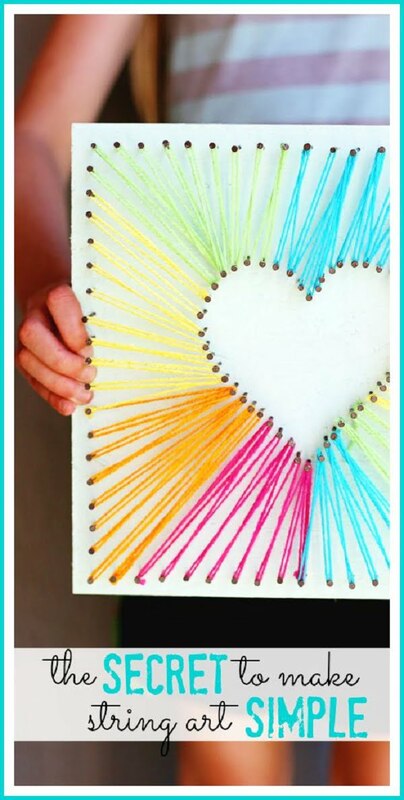 You can make your DIY string art a lot more interesting by using different craft materials. 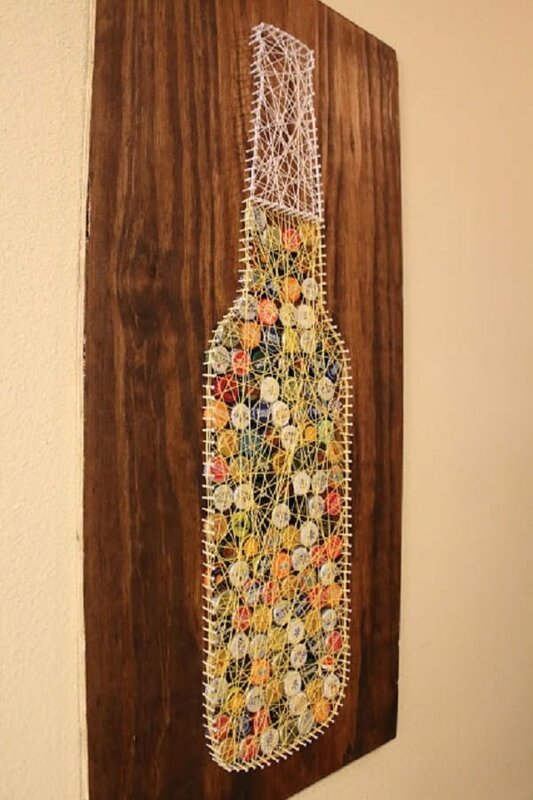 This project shows how to use wine corks to make the string art unique. Check out the tutorial; it will guide you through the process of making this art piece. Want to make DIY string art that looks like its designer made? 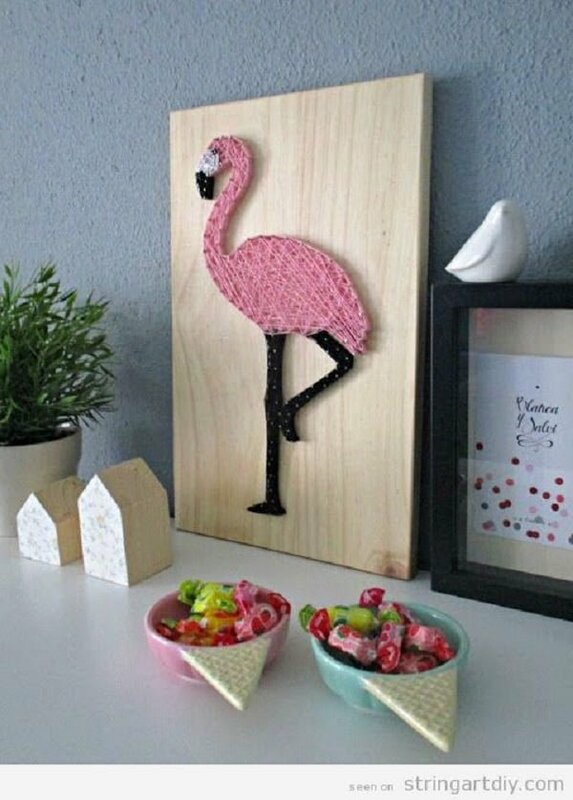 This flamingo string art on a wood board looks impressive. And the best part is that there’s a tutorial that shows you how to do it step by step. 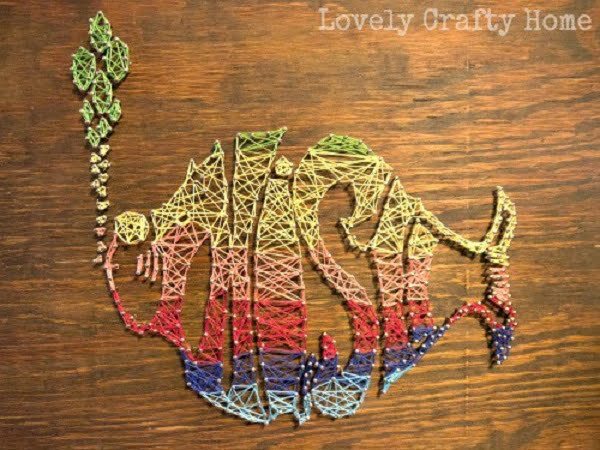 Here’s another project that makes string art unique. Using bottle caps to add interest to a piece of art is a great way to repurpose too. So check out this project and tutorial to see how you can do it also. Need more alternatives to wood for your string art? How about the foam board, which is so much easier for this type of craft project. You can still paint it to look like wood, though! Check out the tutorial to see how it’s done. 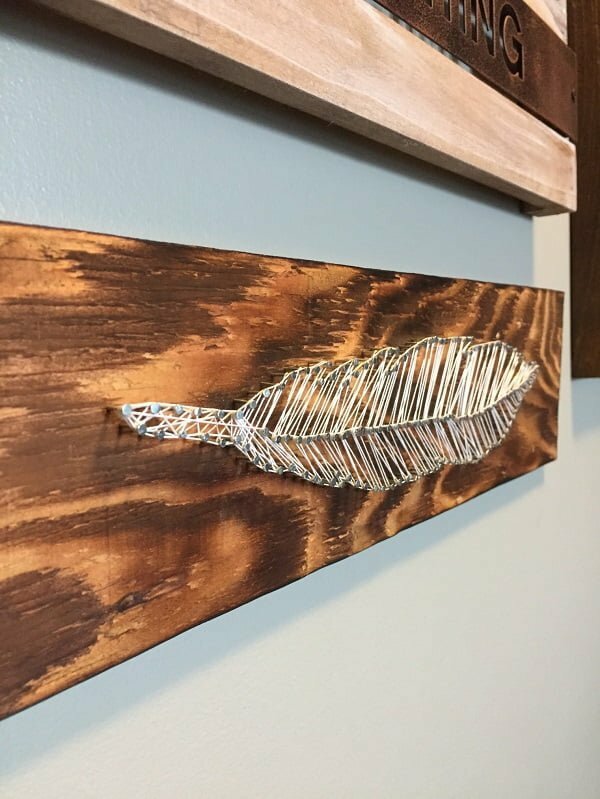 This string art project shows you how to make a beautiful feather pattern on the wood. It also has some helpful ideas on how to use driftwood for a cute effect. 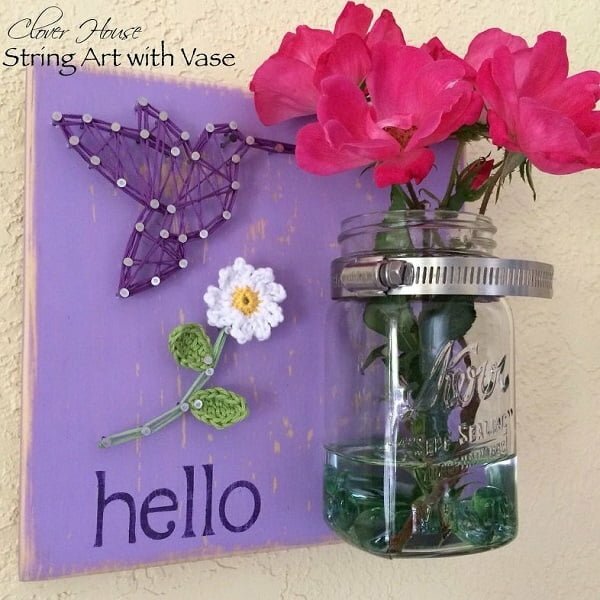 Check out the tutorial for another way to create DIY string art. Need more inspiration for what patterns you’d like to make as your string art project. 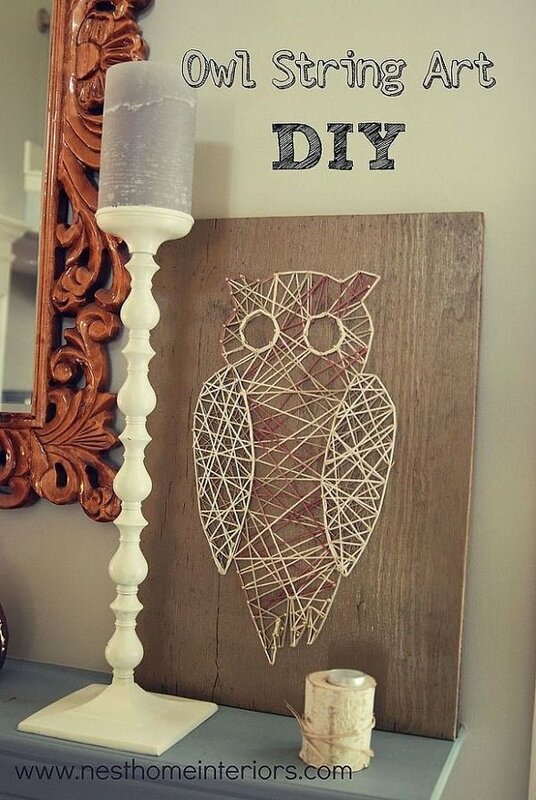 This owl looks adorably cute and makes a lovely rustic decor accent. The tutorial will show you how to do it too. String art is a lot more versatile than you might think at first. You can make some unique pieces with string art as the base and build it from there. For example, you can add a mason jar vase and create cozy, rustic decor. Check out the tutorial to get the idea. You can use a pallet to create DIY string art. After all, nothing says DIY better than a pallet. So grab this tutorial, find a pallet and start weaving that thread!